Australia is an immense country and I have so many favourite places it would take weeks to write the list of everywhere I love. But if I was visiting from overseas and I had to narrow it down to my absolute favourite, not to be missed places to visit in Australia, these destinations would be my personal choices for an absolutely unforgettable Australian holiday. This itinerary would tick all the boxes, from pure white sandy beaches, rugged limestone coasts, lush green temperate rainforest, flat treeless plains and deep red dirt and canyons, to reefs full of underwater wonders and woodland marvels of possums, echidnas and kangaroos. The sky will sometimes light on fire streaked with reds, oranges and pinks and if your really luck it will end on the beach with a drink. This is Australia at its Best. 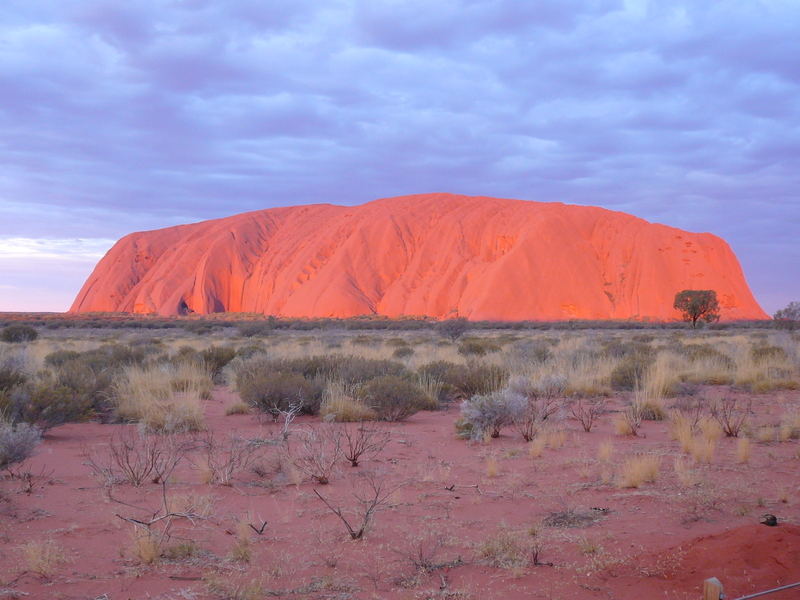 The world renowned Uluru lights up in brilliant shades of orange and red as the sun sets on another outback day. It doesn’t get any more unique that Outback Australia and when you think of iconic Australian destinations, its central Australia in the NT that is calling you. It has magnificent fire engine red sunsets that light up the sky, culture that is so old it seems to pre-date the dawn of time, and geological wonders. If I had to pick a single favourite thing about Outback Australia it would have to be watching the sunset over red rocks and expansive outback plains. You have plenty of places to do this, from Uluru to Kings Canyon to the MacDonnell Ranges. How you get to central Australia will depend on just how much time you have, but it can be visited on even the shortest itinerary. 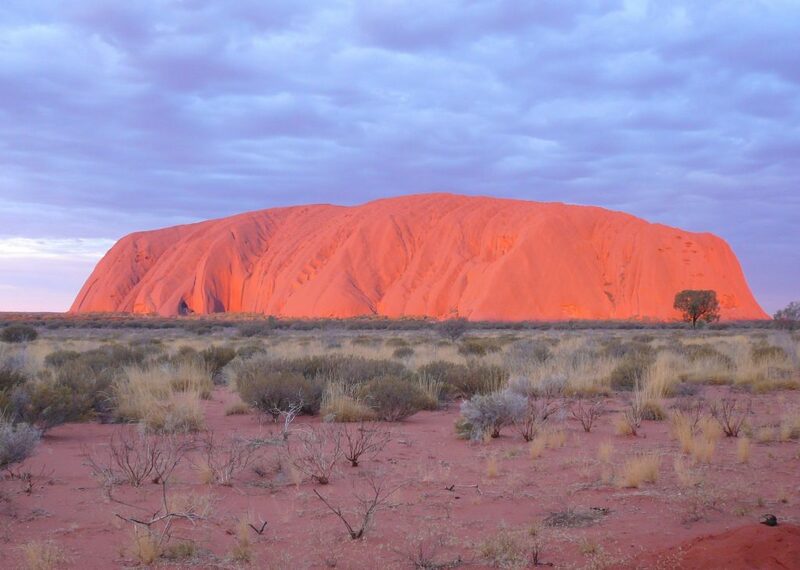 You can fly to Uluru daily through a variety of carriers but direct flights to Uluru (Ayers Rock AYQ) from Melbourne leave 4 days a week with Jetstar and daily from Sydney with Jetstar and Virgin. Alternatively if you have a bit more time you can fly into Alice Springs and hire a car and drive or jump on a tour from there. A drive along the rugged old coastline of the Great Ocean Road is a truly spectacular experience and from the air its just as magnificent! This is a drive best done in sparkling sunshine and with plenty of time to relax, drive safely and take in sweeping coastal views from one of the worlds most favourite drives. It can be done as a day trip from Melbourne, and many tour buses offer this option, but I highly recommend planning a stop of at least one night, and if you are on a leisurely trip you can spend weeks exploring its hidden gems. You can jump on a 1 or 2 day tour from Melbourne, bring your own car if you live within driving distance or hire a car and see it at your own pace. Not to be missed highlights include the section west of Lorne where the road starts to wind its way sky high with magnificent views out over the coastline. 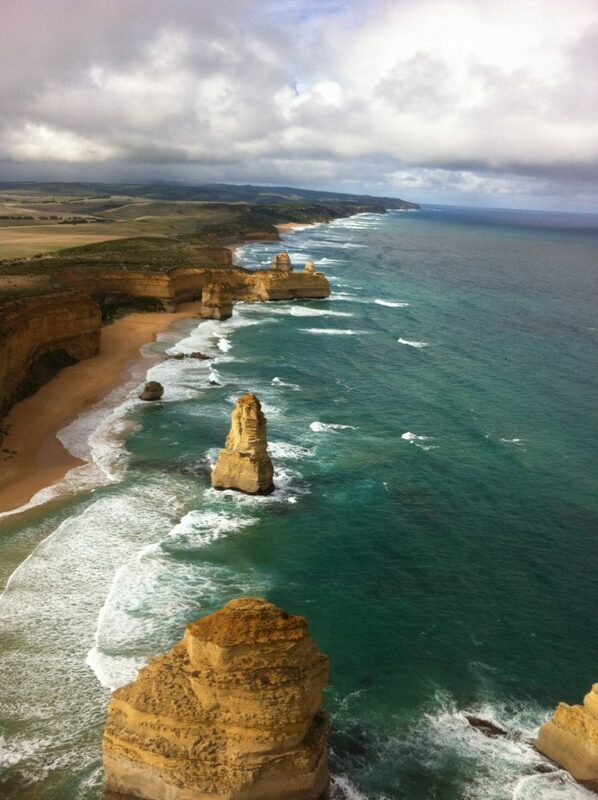 There are truly spectacular stops along the way including Gibson Steps where you climb down onto a rugged cliff lined Great Ocean Road Beach, Loch Ard Gorge, a beautiful place with a tragic ship wreck history and of course the world famous 12 Apostles. If you are planning a visit, read our post on The Great Ocean Road Drive for more ideas on the best places to stop, including tips on where to find Koala’s! Hamilton Island in the Whitsundays is a vibrant tropical paradise with plenty of options for adventure, dining and of course cocktails at the swim up bar. This is a destination that needs to introduction. From sparkling white beaches, reef dives to palm tree clad pool bars the Whitsundays is one of my all time favourite adventure and relaxation escapes. You can make it your own adult playground, a family friendly holiday and everything in between. 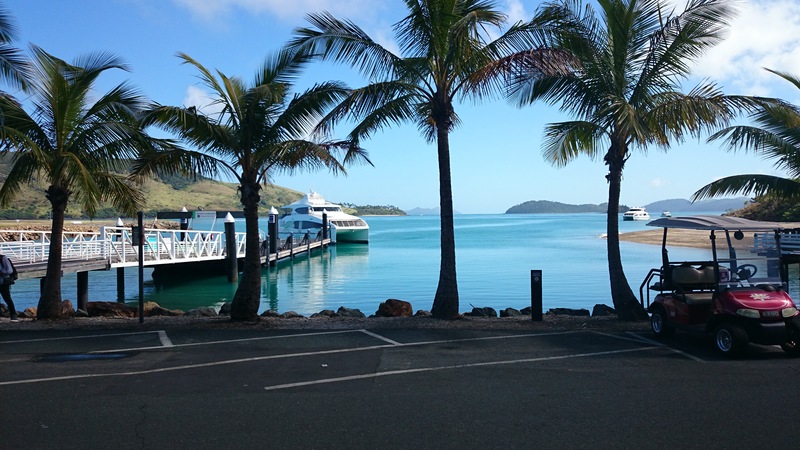 There is a huge variety of experiences on offer and you can fly into the Prosepine Airport on the mainland and make your way to Airlie Beach or fly directly to Hamilton Island and then catch ferries to other Island locations. There are daily reef trips with numerous companies from both the mainland and island destinations. It should be noted that you can also access the Great Barrier Reef and fantastic diving from tours off the coast of Cairns but for easy access to the Whitsunday Islands you need to visit the Whitsunday Islands area around Airlie Beach. 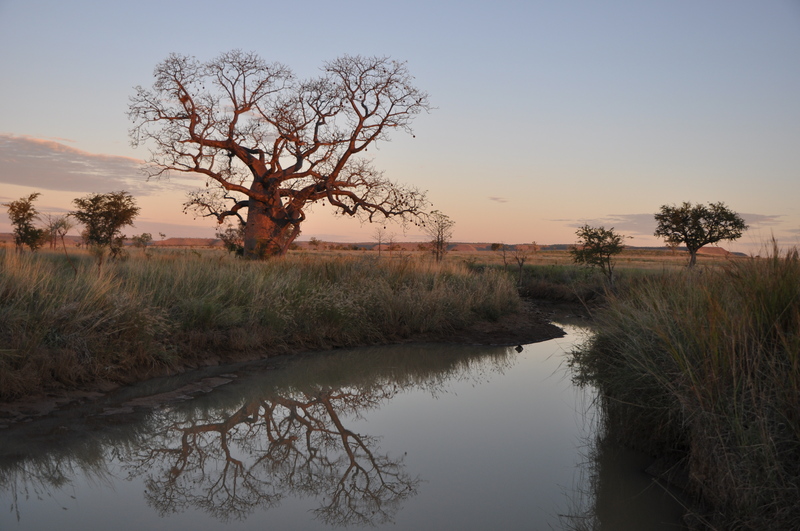 If you are looking for a true Australian Adventure, look no further than the Gibb River Road. Dotted with postcard perfect swimming holes, pounding waterfalls, 1000 year old Boab trees and spectacular ranges, its easy to understand why people fall in love with the Kimberley. In fact it is such a spectacular destination, it was the setting for much of the blockbuster Baz Luhrmann movie ‘Australia’. 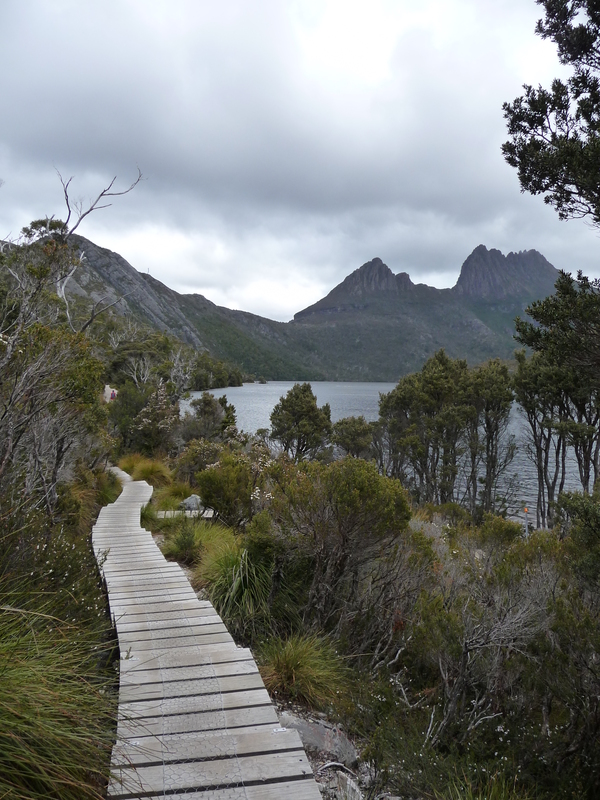 Teaming with wildlife, rugged views and spectacular beaches, Tasmania’s National Parks are a truly rewarding holiday destination that is often skipped by international and local tourists alike. Add it to your itinerary and you won’t be disappointed. In Tasmania its possible to start the day in a National Park surrounded by towering eucalyptus trees, spot wildlife including wombats, echidnas and wallabies and end your day somewhere completely new like the picturesque Strahan Harbour. There is no true runners up when it comes to this list of places to visit in Australia. All these places are a truly spectacular destinations in their own right and depending on your reason for travel, may make your own top 5 list by the end of your trip! What are you favourite places to visit in Australia? Share your Top 5 places to visit in Australia in the comments below to to inspire other readers!